Events and calendar - Trinity Baptist Church, Thomaston Ga. Girls in Action, and Missions Friends. The Youth also meet together on Wednesdays, while the adults meet in a discussion style Bible study together. April 27, in the Fellowship Hall. 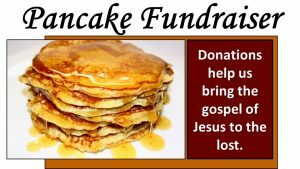 Enjoy a great breakfast and help bring God’s gospel hope to the world. All funds raised will be used for outreach ministry. 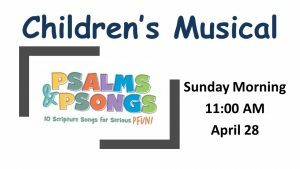 Our Spring children’s musical will be on Sunday night, April 28. 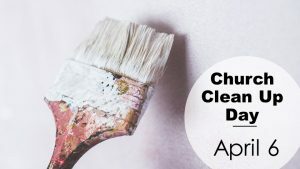 Just as we all work to clean up our homes as we get ready for invited guests, so we are working to get ready in the church. During the month of April, we will be posting building improvement jobs.